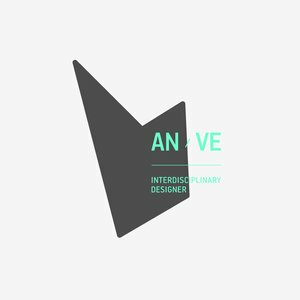 AN / VE is an interdisciplinary designer working around Sussex and London. He has more than 10 years of freelance and agency experience with an award-winning portfolio. His field of expertise encompasses branding, illustration, packaging and poster design among others, working both for print and digital platforms. The main principle of his work includes a practiced understanding of the power of visual perception and a critical thinking in project planning, management and development. Veloudis’ work combines craft and technology, deep knowledge in effective typography and freehand drawing skills – leading to inspiring visual transformations for a broad range of practices in the design field. He received a Master of Arts in Digital Media field from Brighton University, a BA in Graphic Design and a Diploma in Structural Engineering & Design. His work has been awarded by Artslant.com, The Greek Graphic Design & Illustrations Awards 2004 and shortlisted in other competitions around the world. He has been part of group exhibitions around Europe and selected for the 15th Biennale of Young Artists in Greece in 2011.